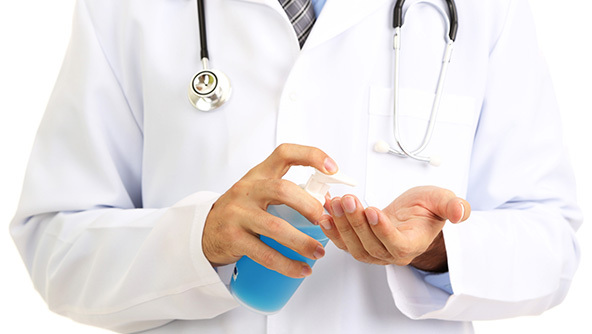 The Food and Drug Administration has announced a proposed rule that will require new scientific data supporting the effectiveness of healthcare antiseptics like hand washes, sanitizers, and rubs used in medical settings. This move stems from recent studies which have raised suggestions that repeated exposure to some antiseptic active ingredients may raise health concerns. Further, the amount of these active ingredients present in the blood and urine of regular users has recently been found to be higher than previously thought. Healthcare antiseptic use has skyrocketed since these products were first reviewed by the FDA in the 1970’s. The proposed rule will require manufacturers to provide the FDA with additional data on active ingredient safety and effectiveness — including data on absorption, hormonal effects, and possible bacterial resistance. This ruling echoes OSHA’s position that chemicals used in certain quantities may not cause a threat, but when used in great quantities and/or on a daily basis, new dangers (and corresponding regulations) may be needed. For example, OSHA requires that employers maintain SDSs for consumer products — which would not otherwise be required — if those products are used in quantities that exceed the average user or if the product is used in ways not intended by the manufacturer. The FDA is not requesting that any healthcare workers cease or curtail their use of these sanitizers while this new data is being compiled. According to some sources, it could cost sanitizer companies between $64 million and $90 million to conduct the new studies and submit all required information to the FDA. The studies would have to include data from human and animal tests, as well as tests to determine appropriate usage levels for vulnerable groups like pregnant or breastfeeding women. The proposed rule does not apply to the commonly used, consumer-oriented hand sanitizers that most people know so well. Though these sanitizers are sometimes found in medical settings — like on reception desks at physician’s offices — the FDA is only interested in sanitizers marketed specifically to healthcare workers and/or for use in healthcare procedures. However, there is room to speculate about possible FDA future interest in consumer-oriented sanitizer products. This latest regulation is not the first time the FDA has moved to look more closely at substances used in hand-washing. In late 2013, the FDA issued a proposed rule to require manufacturers of hand soaps and body washes to prove that their products are safe for daily use, and prove that they were more effective than soap and water (if the product claimed to be, as many did). This latest proposed rule for medically-oriented sanitizers will have a comment period of 180 days, and companies will have one year to submit new data. Companies will also be given a 60 day rebuttal period. The FDA’s final determination will then be published as a final rule.